How to join Pinoy Bingo Night? Pinoy Bingo Night is the newest game show in ABS-CBN hosted by Ms. Kris Aquino. After the success of her former show, Deal or No Deal, here she comes with another game show that will surely be enjoyed by Filipinos, the Pinoy Bingo Night. Grand Prize is 2 million pesos, aside from that, each studio players/Bingoers can win 50 thousand pesos each if they win. I enjoy playing Bingo and I also enjoy watching the show. Guess what, I registered online for me to join, winning 50 thousand pesos is not that bad! Go to http://pbn.abs-cbn.com/. Fill out the necessary fields and click register. Note: Open only to participants in the Philippines. Only valid registrations from the Philippines will be accepted. I’m all set for the The Final Set! Woohoo! 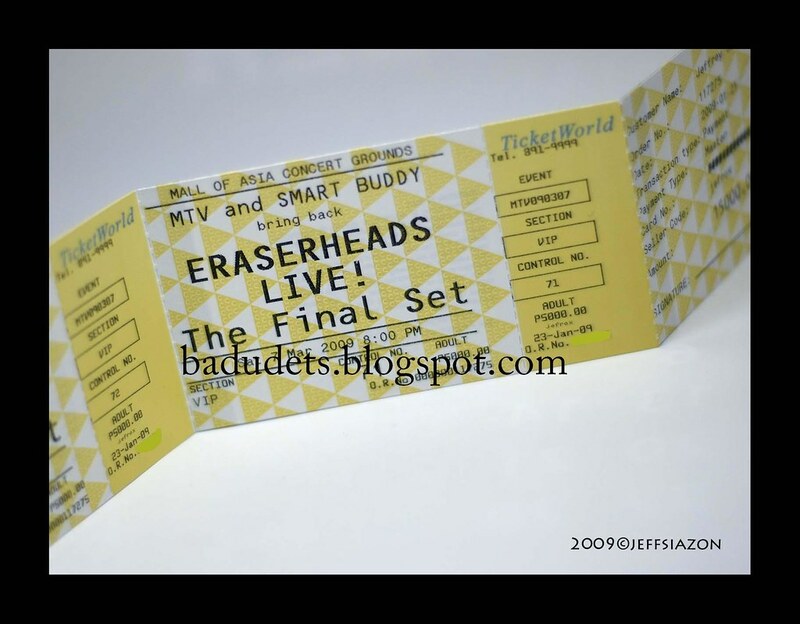 I just can’t believe that I already have tickets for the Eraserheads concert on March 7, 2009. Being a die-hard Eraserheads fan, I felt like a loser for not being able to watch the first Eraserheads reunion concert at The Fort last August 30, 2008. But my prayers were answered for them to reunite the second time around, and this time, I won’t miss it for the world! The Eraserheads The Final Set! concert will be held in Mall of Asia grounds, March 7, 2009 at 8 pm. 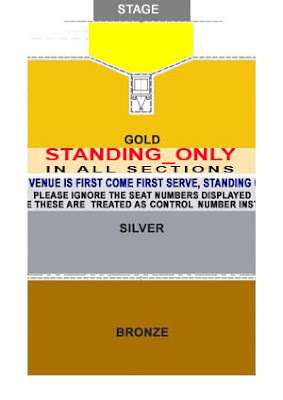 Ticket prices are Php 5,000 (VIP), Php 3,000 (Gold), Php 1,300 (Silver) and Php 300 (Bronze). See the map below for the seat maps. The VIP tickets left a huge dent on my wallet but I know that it will be all worth it! I heard that tickets are selling like hotcakes so better grab yours now soon. Tickets are sold at Ticketworld outlets and the Ticketworld website.